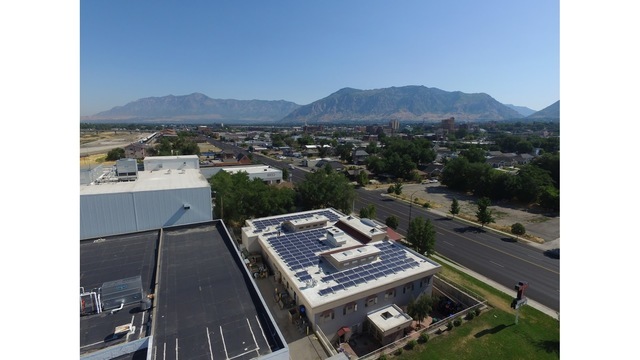 On Tuesday, the Ogden Rescue Mission, a homeless shelter in Ogden, Utah, celebrated the completion of a new rooftop solar array. The project was made possible by a $112,275 grant from Rocky Mountain Power’s Blue Skycustomers. It marks the program’s 140th renewable energy grant awarded to community-serving organizations since 2006. The 131-panel project will enable the shelter to save more than $6,000/year and redirect funding to better assist the homeless in Ogden by providing meals, clothing and lodging. In total, 40% of the mission’s energy use now comes from the sun.